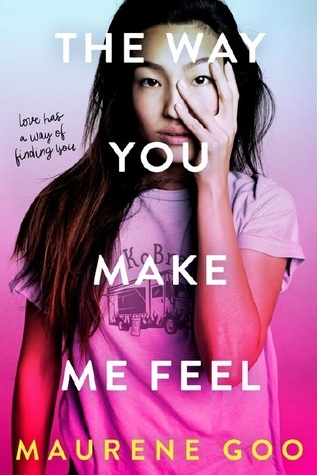 SYNOPSIS: Clara Shin lives for pranks and disruption. When she takes one joke too far, her dad sentences her to a summer working on his food truck, the KoBra, alongside her uptight classmate Rose Carver. Not the carefree summer Clara had imagined. But maybe Rose isn’t so bad. Maybe the boy named Hamlet (yes, Hamlet) crushing on her is pretty cute. Maybe Clara actually feels invested in her dad’s business. What if taking this summer seriously means that Clara has to leave her old self behind? This was such a great book! I’m glad you liked it, too. I hope you do! 🙂 If you enjoy cutesy fun YA contemporaries at all, I really do recommend it! Haha I’m with you! 😛 It was really cute. I hope you like it, too! The dialogue is quite interesting. The plots sounds fun though. Hopefully my library has it. Great review! I hope so! If they do, I hope you enjoy it 🙂 thank you! Wow! Clara sounds like such an awesome character! I’m looking forward to reading this so much! She really is! I felt like I related to her sense of humor so well, haha. I hope you enjoy it! I will be adding this to my TBR. Thanks! !